I'm so excited for this post because I have so many exciting things to share! This year is winding down quickly and we have 15 school days left. Wohoo! June 20th cannot get here soon enough! The first exciting random picture from this week is ... I NO LONGER have a "Closet of Doom!" (If you don't remember what it looked like, check here!) Although it was not ALL mine (it was there for many years before me) the closet was basically busting at the seams. I felt like an emotional hoarder searching through the junk, but although a lot was pointless, I wanted to salvage it! Who knows when you are going to need 97 rulers, or six packages of push pins, or 8 staplers, but it sure felt like Christmas to me! 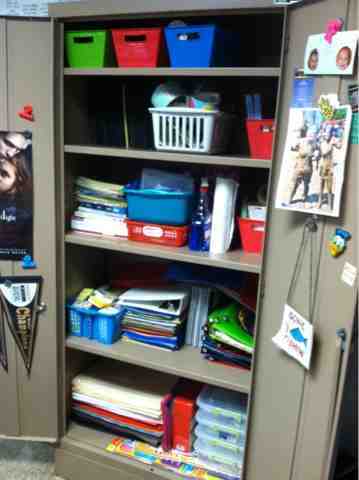 Although I threw out a ton and my poor janitor friend wants to kill me, I reorganized an voila! All I have to do now is label my bins, and use the 48 folders, 27 composition note books, and 22 binders I've found, next year and my closet will be even neater! 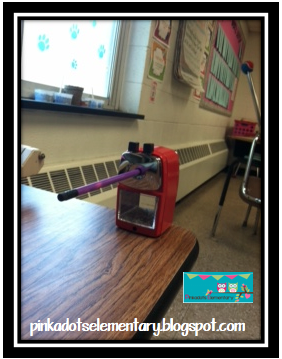 #2: I was lucky enough to receive a super duper awesome pencil sharpener from my friends at Classroom Friendly Supplies. They were so nice and accommodating there. Did you know if you want one, you even get free shipping? They also offer discounts for multiple purchases, so ask around before your order yours. At first I was skeptical, like any other teacher when spending their hard earned money, but after reading reviews I knew I had to test one out. 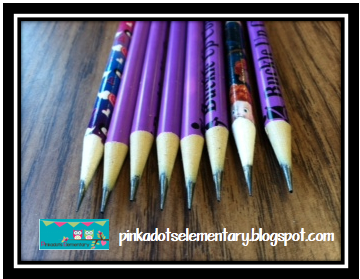 Sharpening pencils DRIVES ME NUTS. I swear the kids use this time to meet and discuss their day, share jokes, waste time, and fool around not to mention that the pencil sharpener is SOOO loud that it disrupts everything else in the classroom. When the students FINALLY have a sharpened pencil it usually breaks right away or the lead just magically falls outs. Anyways, the people who invited the Best Classroom Pencil Sharpener Ever, solved ALL of those problems! #4. My class just finished Wonder and we are now starting Out of My Mind! Two of my favorite books this year! Definitely MUST READS for any teachers! WOWOWOWOW!! What a transformation!!! :) Way to go!! lol I know! I'm shocked myself! 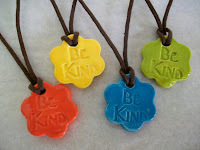 I LOVE the BE KIND necklaces. Did someone make those or are they available to purchase somewhere? 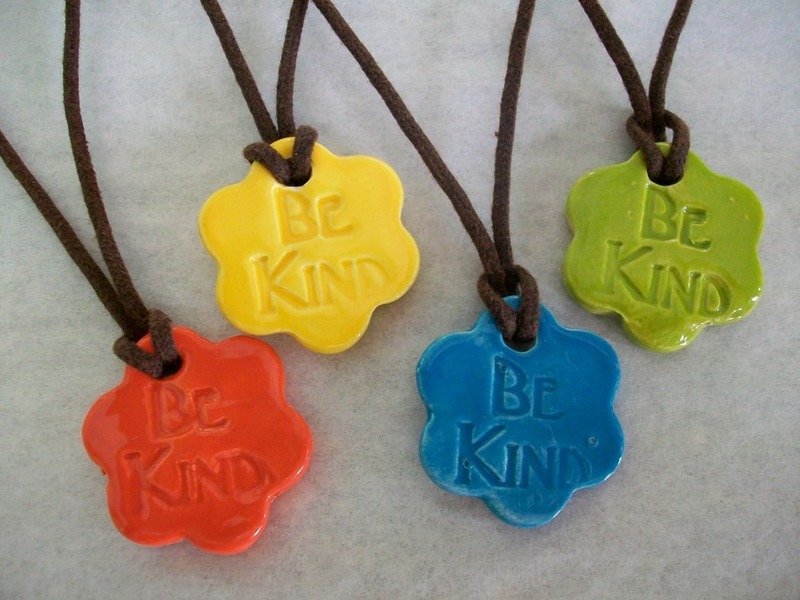 They are adorable and it would be so great to be able to give my students one after I read aloud WONDER. That would be awesome, check out bensbells.org! Hi! 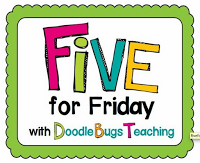 I found your blog from the Five for Friday linky (your post was right next to mine). You did a wonderful job on your closet. I can completely relate to the "hoarding" behaviors. You just never know..... :). Our principal is leaving after this year too and the hiring process has not even started yet. How lucky you are to get so much money for next years supplies. Last year, I believe we got $75. There has been no discussion about it for this year, so we may not get any:(. Thanks, now I need to figure out what to order. Any ideas? Sounds like you found lots of useful things in your closet of doom!! I feel like I'm asking a stupid question - but is $200 the budget you get for your classroom for the whole year?